Can Freezing Temperatures Harm The LCD TV In Your RV? Every new motorhome and most new 5th wheel and travel trailers have at least one LCD TV. Many have 2 or more. 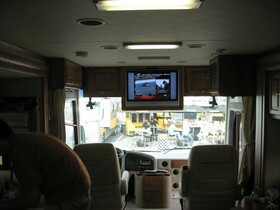 The bigger LCD TVs on board RVs and motorhomes have 40-inch screens (or larger). Today’s technology has come to the point where, for the most part, you will find LCD (or Liquid Crystal Display televisions) being installed almost exclusively in new recreational vehicles. 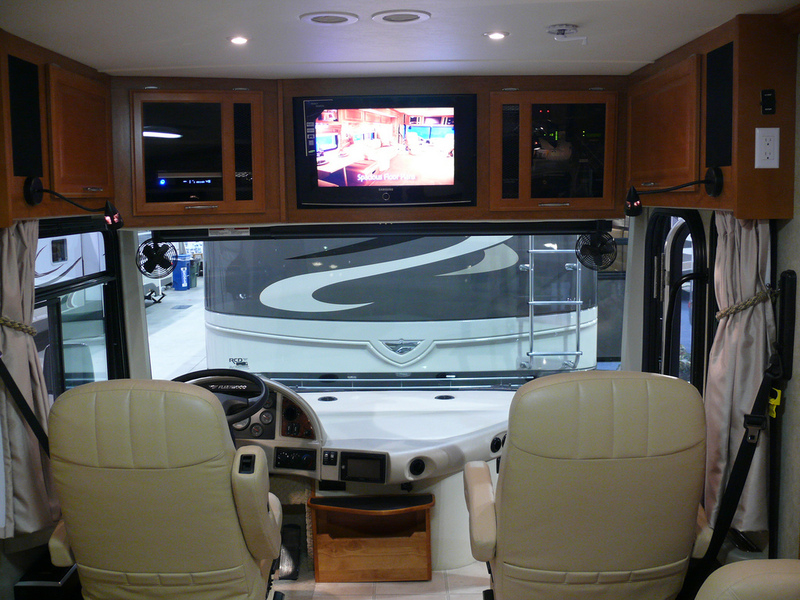 LCDs are a great choice inside RVs for a number of reasons. For one, the picture quality is very good. Plus, they’re not big and bulky like the TVs of yesterday. In fact, some are so thin you can actually mount them on the wall like a picture. LCD flat-screen TVs are even being mounted on motorized bases that retract up flush to the ceiling when not in use. The one big question for those of us living well into the frost belt is: Can LCD televisions handle the freezing temperatures? Liquid when allowed to freeze expands, distorts, and even cracks. There is a liquid-based material within the screen of LCD TVs. Will it be damaged overnight in freezing weather? Worse yet, if left in storage through the winter in the northern states where temperatures can get bitterly cold, will an LCD flat-screen TV survive? Information available on the Internet indicates that, in most cases, the possibility of damage is a definite "Maybe". Not very reassuring. But the fact is, each manufacturer provides different guidelines for its products, and those guidelines don’t carry over to all other brands of televisions. Safe operating temperatures for LCD televisions generally range from +40F to well over +100F. This means that if your LCD TV is kept in an environment below this range, you must allow it at least 24 hours to acclimate to the proper operating range before you plug it in or turn it on. When something cold is brought into a warm environment, condensation (or moisture) will be present throughout the device. Plugging it in or turning it on could result in short circuits, shock, or other catastrophic failure of the unit. If the LCD screen is chilled, even though not frozen, it could fail as well. Manufacturer limitations on cold storage of their LCD TVs varies all over the map. Some are rated to handle temps as low as -15F to -20F below zero, while others are barely rated to be stored anywhere near the zero mark. 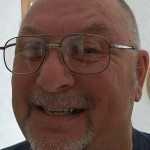 I was unable to find a single supplier of LCD televisions that would stand behind their product when stored in temperatures lower then the -20F below zero mark. I live in Minnesota. International Falls, MN is well known as "the ice box of the nation." During the very long winter months, temperatures drop to a -40F below quite often. I’ve personally experienced -60F below temperatures, though admittedly only once in my lifetime. 1. You can arrange for heated storage of your RV through the winter months, probably a costly option. 2. You can remove your LCD televisions from the RV (and I would consider removing VCRs, DVDs, and satellite receivers too), and store them indoors in warmer temperatures. 3. Or, as a more enjoyable option, you can load up your RV and head south for the winter months where frost is but a faint far off memory. Personally, I vote for the third option, it’s worked well for my wife and I.